Click here for presentations from our 2018 Public Sector meeting! What is the right balance for public sector recruitment? Technology, gamification, social and political shifts are all changing the landscape of how we actively recruit, assess, educate, and promote public sector employees. The Internet, together with global shift, has significantly changed the way individuals work, engage with colleagues, and develop their careers – and these changes are taking place in all workplace settings. That is why ATP has dedicated part of its mission to creating communities, such as the Public Sector SIG, that transcend national and international borders – so that networks can be built, and the very best innovations and best practices can be shared among like-minded professionals. This year’s sixth annual Public Sector SIG conference, hosted by NATO in Brussels, Belgium, will bring together a community of international practitioners, academics and public sector professionals for a day and a half of programming. This year’s Conference topics will include presentations, workshops and clinics related to issues and concerns, innovations and advances, that may consider but are not limited to: Employer branding, Game-based assessment, General Data Protection Regulation, Career management, Technology-driven candidate selection, Diversity analysis and reporting, Personalized learning, Performance Testing, Soft-skills assessment, Assessing Millennials, Candidate experience software, Artificial Intelligence in assessments. The Public Sector Special Interest Group is a SIG created by the Association of Test Publishers to accommodate the needs of assessment professionals working in the Public Sector. The Special Interest Group currently includes many international organisations' HR experts, including from NATO, the UN, EPSO, Council of Europe, European Central Bank, UK Civil Service, Spain, Sweden and the Irish Public Appointments Service, and many other like-minded organisations. This is a non-fee event for attendees and is open to public sector employees. 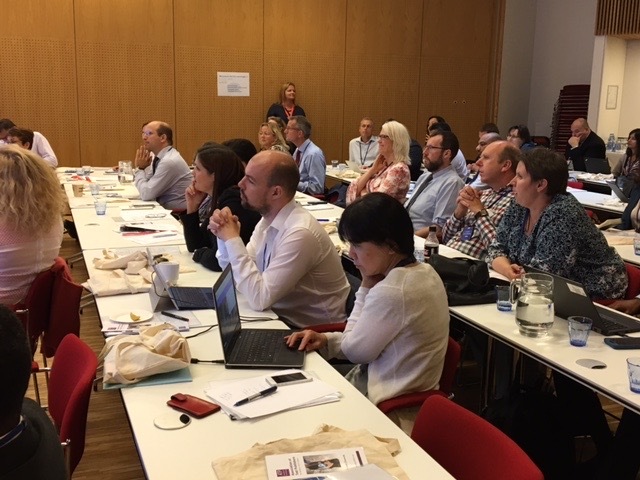 We are delighted to share the presentations from our fifth meeting of the ATP Special Interest Group (SIG) for the International Public Sector which was held 22 and 23 June 2017 at the UN City in Copenhagen Denmark. The 2017 meeting was hosted by the UNDP in Copenhagen, Denmark in collaboration with the Association of Test Publishers (ATP, the world's leading organisation for testing and assessment organisations). The Special Interest Group currently includes many international organisations' HR experts, including from NATO, the UN, EPSO, Council of Europe, European Central Bank, UK Civil Service, Spain, Sweden and the Irish Public Appointments Service, but we feel sure that there are many other like-minded organisations which would find this growing community of great use and we would be grateful if you could circulate the information as widely as possible. And for those of you who can support the growth of this group, we invite you to consider Subscriber status (Individual Membership) in the Association of Test Publishers. The fee is $220 USD annually. You can find the application at this link: Join Us! We are sure that this conference will continue to grow and provide an excellent forum for discussion and networking.